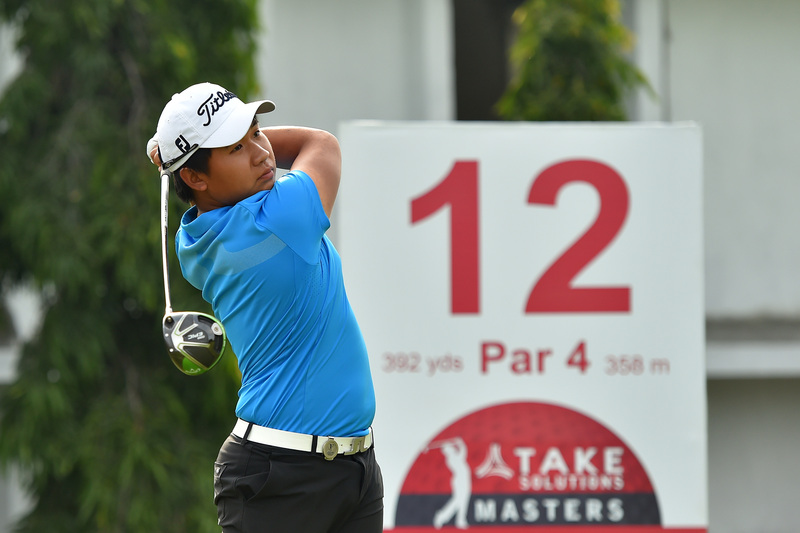 Thai stalwart Poom Saksansin hopes to become the 17 th player to successfully defend a title on the Asian Tour when he heads to the US$350,000 TAKE Solutions Masters next month. The baby-faced Poom broke local hearts last year when he defeated home favourite Khalin Joshi by two shots to win his second Asian Tour title at the Karnataka Golf Association golf course. He will return to the scene of his victory with renewed confidence following a successful season so far highlighted by his EurAsia Cup heroics where he defeated Paul Casey in the Singles format. Poom, who finished second at the Thailand Open and is ranked 27 th on the Habitat for Humanity Standings, will be joined by TAKE ambassadors S.S.P. Chawrasia, Khalin Joshi and Chiragh Kumar at the KGA course from August 9 to 12. “It has been a good year so far. I have enough money on the Habitat for Humanity Standings to retain my Asian Tour card so I’m happy. I defended my title at the Indonesian Masters last year. Nothing felt different except that my photo was plastered everywhere. I did feel proud and it shows that I’ve made it. However, I also felt more nervous because people know who I am and they are looking at my performance,” Poom laughed. After changing six different drivers, the young Thai is beginning to rediscover his best form ahead of his title defence. “I’ve been hitting my driver good in recent weeks so I’m feeling more confident. The KGA course is very narrow so you need to hit it straight. I’m not a long hitter so I can’t use a three wood,” said Poom. He remembers his victory last year vividly where he led from start-to-finish to break the Indian dominance on home soil. Prior to Poom’s victory, Indian golfers had won seven Asian Tour events staged in the country since 2014. “Before the event started, I didn’t expect to win but my confidence started to grow as the week progressed. In the final round I didn’t feel much pressure because I played with my friend Khalin (Joshi) and Chikkarangappa S.” said Poom.